The most effective Togo Pools are located mainly in massive cities, but it's also easy to find public pools in rural areas. Going to a Togo Swimming Pool is increasing specially within the elderly population sectors of Togo, who've suffered some type of muscle or bone damage. Thanks to some new pools submitted by swimmers like you, Swimia.com is increasing in the day-to-day number of stored pools. Please don't hesitate to contact us if you find any Togo Swimming Pool with inaccurate or incomplete information. We almost certainly don't know all the Pools in Togo. Are you missing any? Contact us!. Are you a common swimmer? Have you ever practiced Aquagym in Togo? Let us know!. There are often discounts available to senior citizens and tiny children for independent swim. 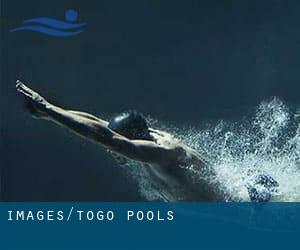 Find out by contacting your nearest pool among these Togo Pools. One of the advantages of outdoor swimming in Togo may be the possibility to sunbathe for the duration of the summer time season. Taking it with extra care, sunbathing is healthy because introduces Vitamin D into the body, so the top option seems to be switching between indoor and outdoor pools depending on the season. Let us tell you a secret to switch off while you're in Sokodé: just choose a Pool in Sokodé and plunge into the water! There's no more powerful method. Swimming is often a exceptional idea to help keep your body active during your visit to Palimé (Togo), or even if you are a local. Swimia helps you to discover your closest Swimming Pool in Palimé. Whereas Lomé is one of the six most populous cities in Togo with nearly 749.700 residents, you shouldn't miss that one if you're going to Togo. It's difficult to visit Togo without dropping by Kara (with 104.207 residents). Currently Swimia is showing you all the Swimming Pool in Kara along with the closest pools located in its vicinity. Boulevard du Mono , Lome . Swimmers like you reported 48 meters, 6 lanes, Outdoors. Unfortunately we do not have the email address of this Swimming Pool, but we can give you the phone number.